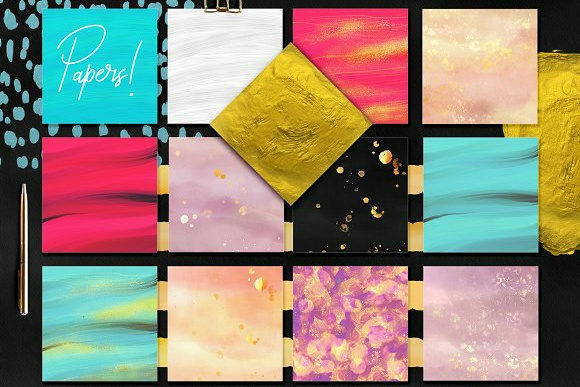 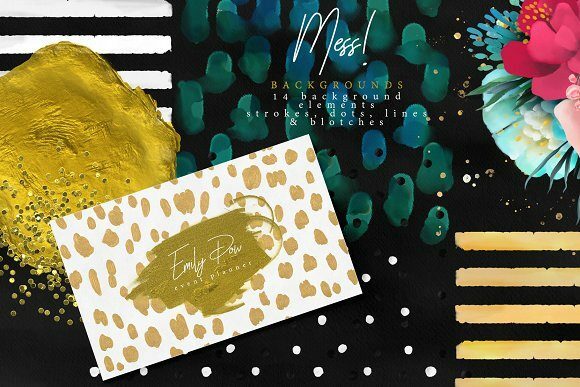 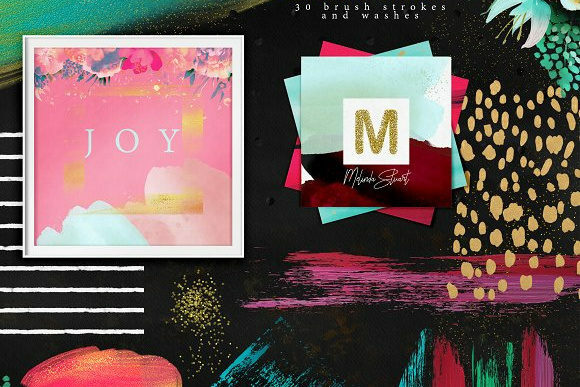 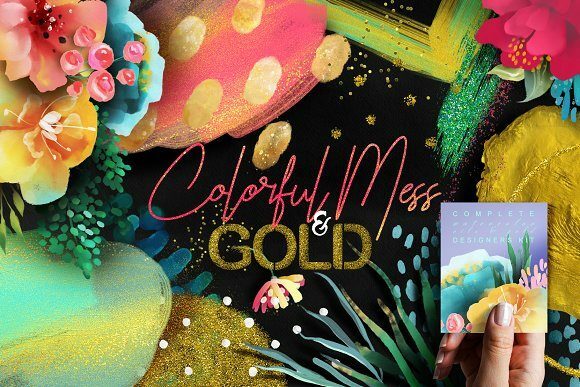 Colorful Mess & Gold Over 240 high qulality items! 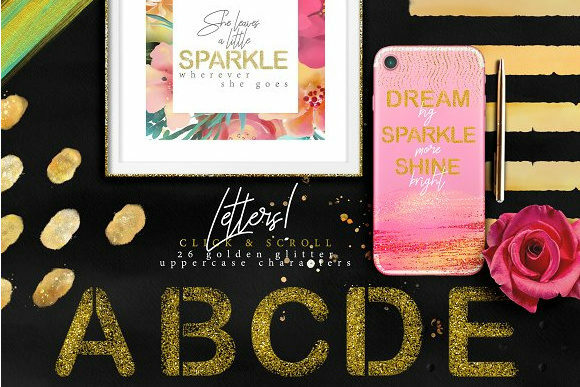 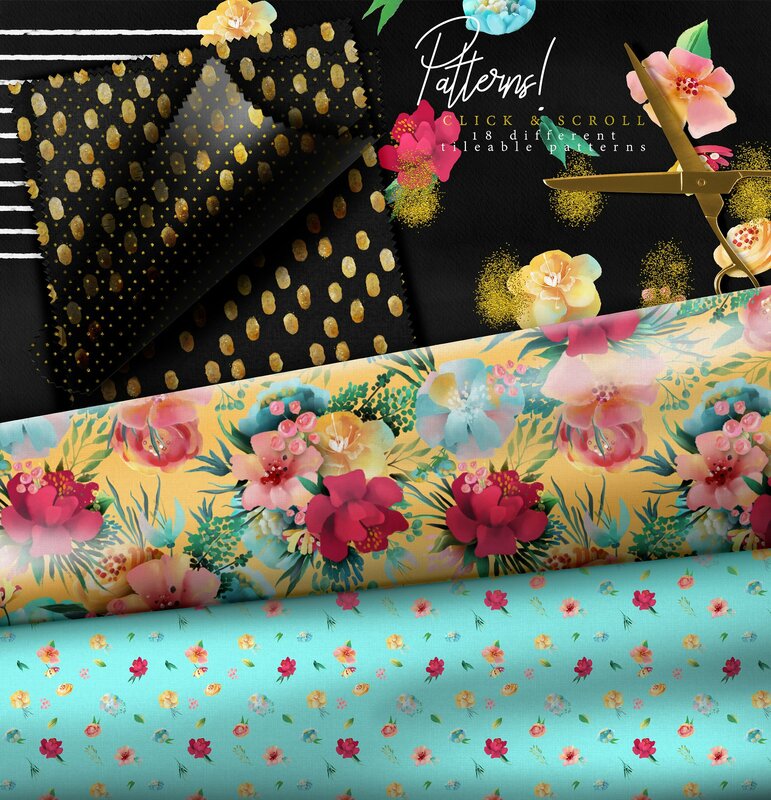 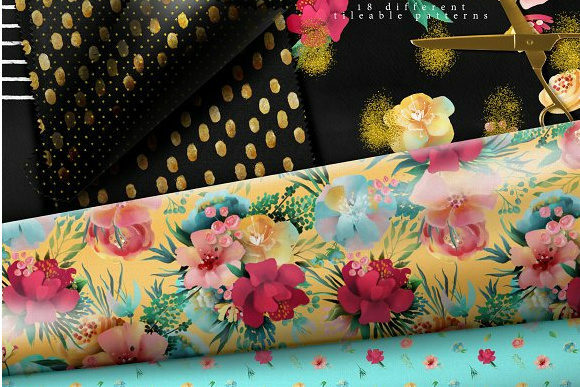 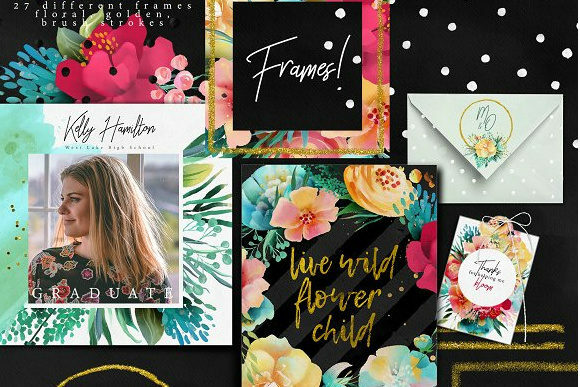 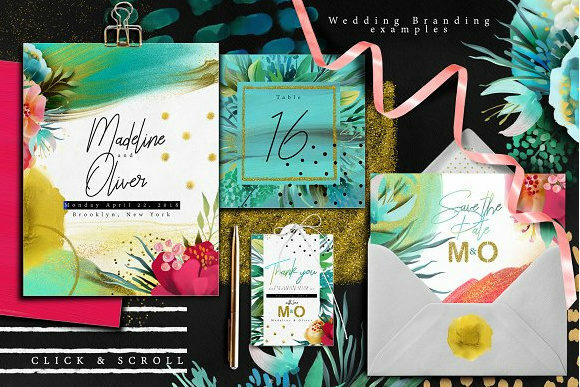 It is a complete set and all what you need to create modern and beautiful designs for every case – social media posts, wedding or company branding, textile designs and many others. 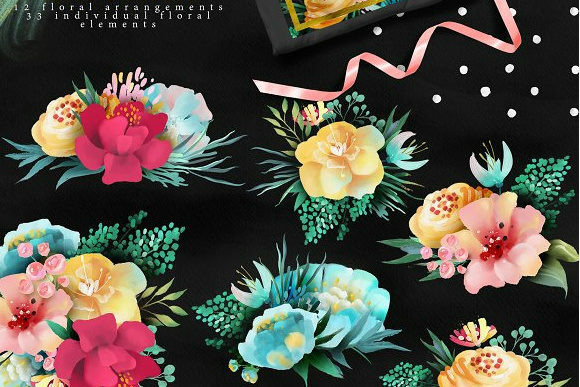 All the items are 300DPI and PNG with transparent background. 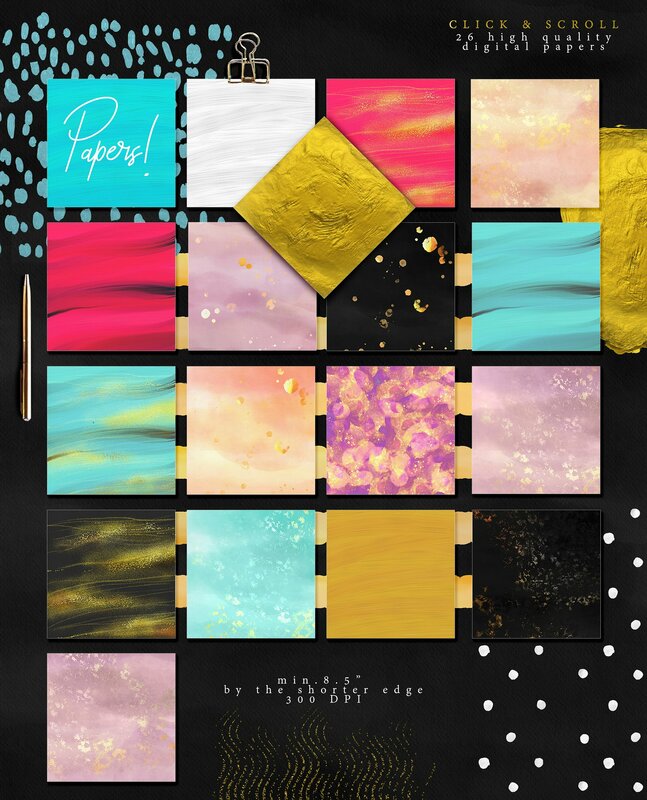 Digital papers are JPG minimal size is 8.5 inches by the short edge. 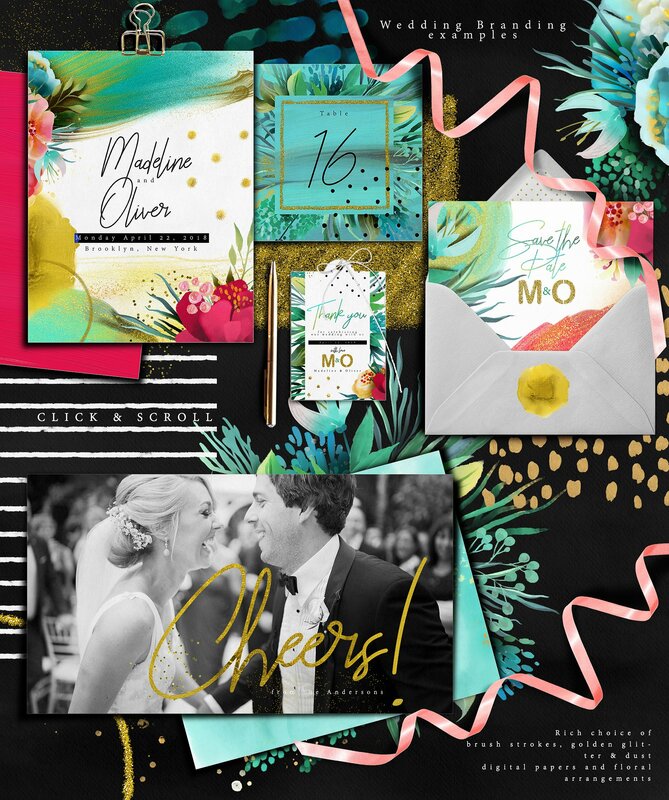 Have fun to mix & match elements which are carefully organized! 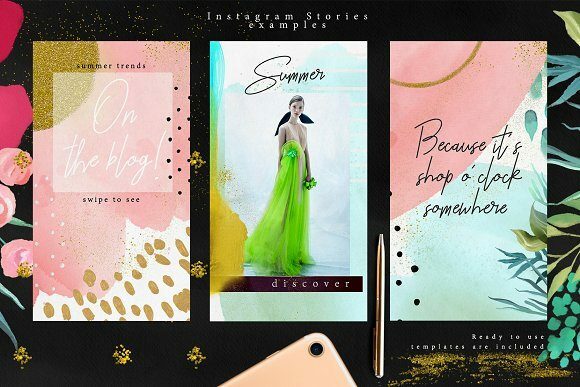 All displayed elements are included! 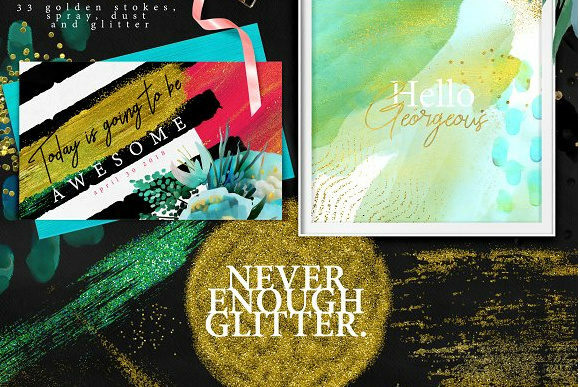 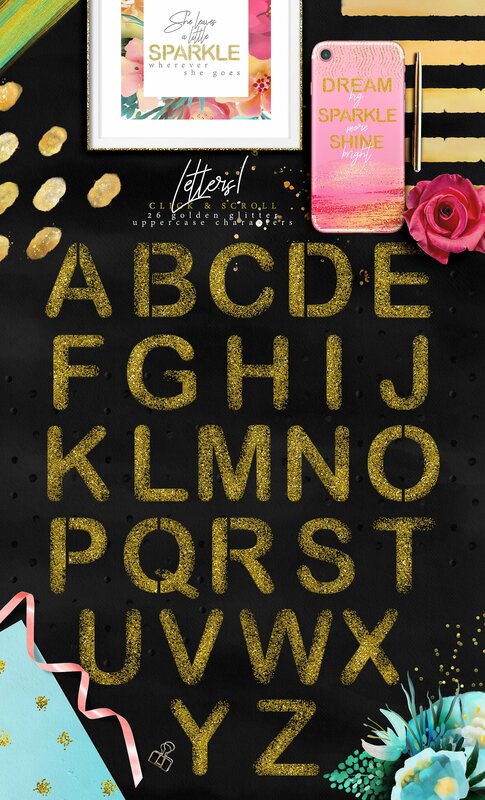 You can never use enough glitter!